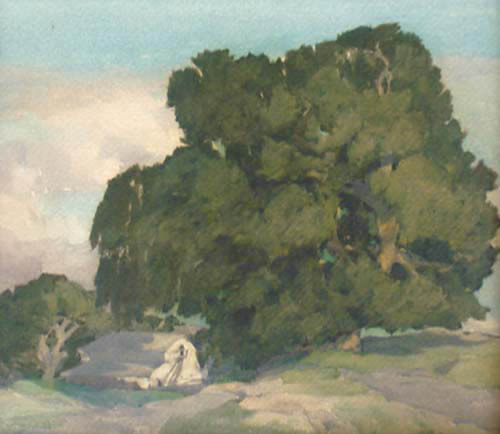 Born in Fingal, Tasmania, Francis McComas became noted for his paintings, many in Tonalist style, of California oaks, cypress trees, desert landscape and Indian subjects. His specialty was watercolor. For twenty-six years he "was a key figure in the development of California watercolor painting and was an inspiration to younger artists who were considering pursuing watercolors as their primary painting medium". (McClelland 159) However, he also did many oil paintings and murals. He first received art education from Sydney Technical College in Australia and then worked his way via Hawaii and Samoa to California as a merchant seaman. McComas moved to San Francisco in 1898, studied with Arthur Mathews at the California School of Design, and then went to the Academie Julian in Paris. Eventually he settled in Monterey, California but traveled with a group of painters regularly to the Southwest where he painted pueblo country landscapes, many of them with looming rock formations. During 1909-1910, he explored Hopi villages, Canyon de Chelly, and New Mexico pueblos. "Carmel Valley Oaks and Ranch House"
Along with Arthur Putnam and Mary Foote, he represented California at the 1913 Armory Show in New York City, and in 1915, he won a bronze medal for one of his ten entries at the Panama Pacific Exhibition. There he was honored with a two-person show with his teacher Arthur Mathews. It was said that he had social connections on the East Coast and Europe, and these contacts were helpful in furthering his career, especially in the 1920s when he was getting established. 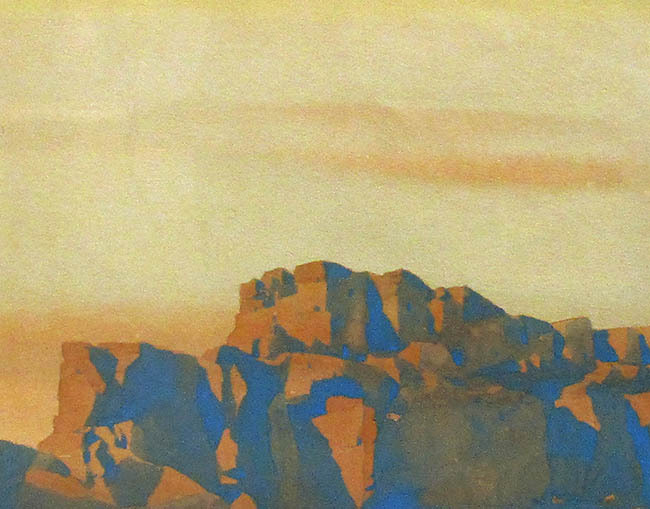 His watercolor Cliff Dweller series with warm monochromatic tones became a trademark and was a departure towards modernism from the tonalist style he learned from Mathews.